Traditional sporting pictures are closely linked to the British countryside and field sports. Sportsman with A Day's Shoot (FS24/309) by Henry Hetherington Emmerson (1831-1895). George Stubbs, born in 1727, is perhaps the greatest ever horse painter, making commissions and depicting the thoroughbred horses that belonged to the 18th Century British gentry. These paintings are an important social record, which now sell for millions of pounds and in 2011 a Stubbs painting of Gimcrack on Newmarket Heath, with a Trainer, a Stable-Lad, and a Jockey sold for £20 million. Gimcrack, who was just 14 hands high, was one of the most admired of all eighteenth century race horses and the painting was commissioned in 1765 by his owner Frederick St John, 2nd Viscount Bolingbroke. 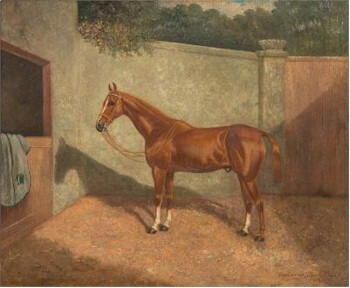 A Chestnut Horse in A Stable Yard (FS23/282) by Frederick Albert Clark (c1821-1910). 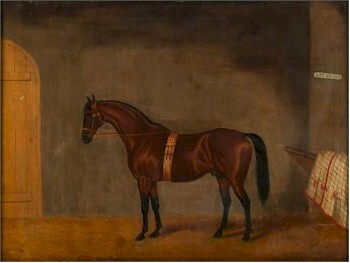 Asteroid, A Racehorse in A Stable Interior (FS23/283) attributed to Edwin Loder (1827-1885). Sir Alfred Munnings, who was born in 1878 and lived to 1959, spans the generations from Stubbs and is probably our most admired equestrian painter of the 20th century whose major works make in excess of £1 million, but don't reach the dizzy heights of Stubbs. So, in the British tradition, horse portraits, and indeed dog portraits, form a strong thread through the theme of sporting art. 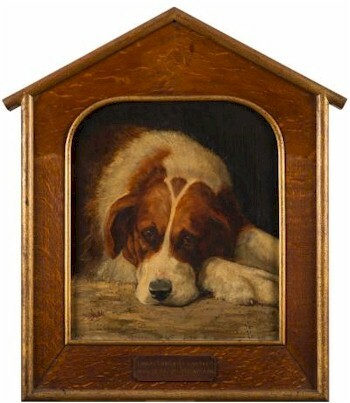 British School, Late 19th Century: Portrait of Luna, A Saint Bernard in a Kennel (FS23/284). 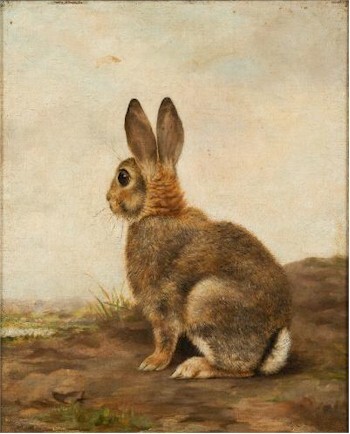 The Watchful Hare (FS25/436) by Lucy Ann Leavers (19th/20th Century). 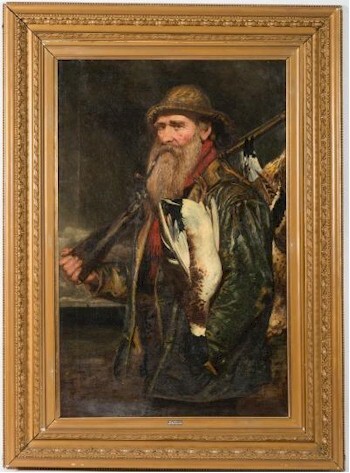 For those of a piscatological persuation, Henry Leonidas Rolfe (1824-1881) is a fine painter of sporting fish and his works regularly come through the auction rooms. Rolfe favours game fish with catches of trout and salmon being regular subjects. These works typically make hundreds of pounds. For the coarse enthusiast, we sold at auction in July 2014 a group of four studies of Perch, Carp, Tench and Chub by Frederick Richard Lee. 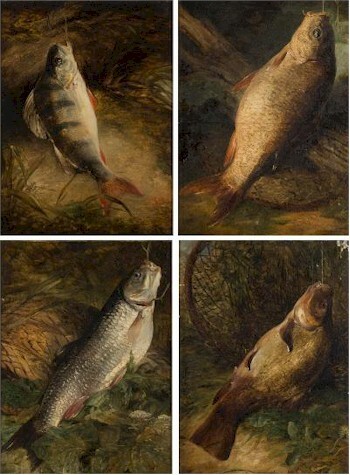 Four studies of a Perch, Carp, Tench and Chub (FS23/289) by Frederick Richard Lee (1798-1879).